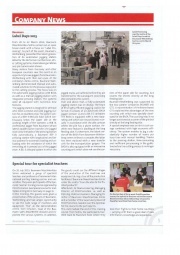 From 20 to 22 March 2013, Baumann Maschinenbau Solms carried out an open house event with a focus on "Label Processing". A special emphasis was on strict cost savings combined with high economic efficiency. 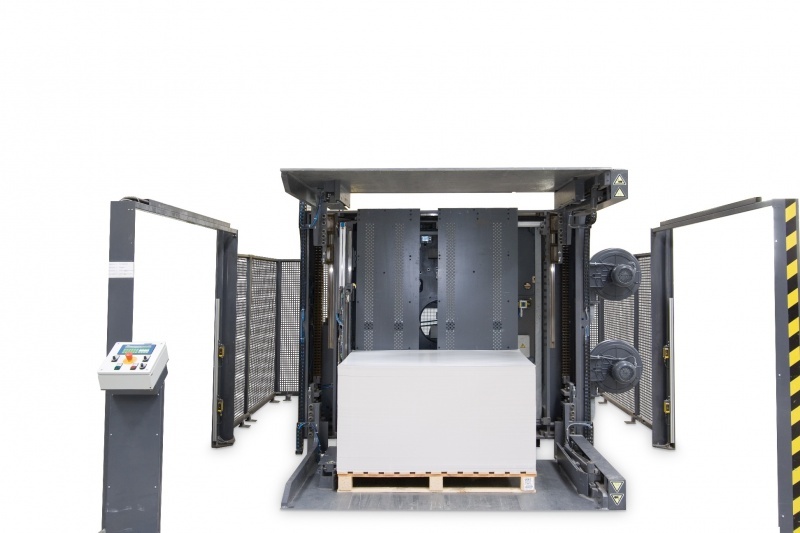 The system enables you to jog a substantially higher number of reams per hour than with manual handling. Thanks to the pressing station, time-consuming an inefficient pre-pressing in the guillotine before the cutting process is no longer necessary. 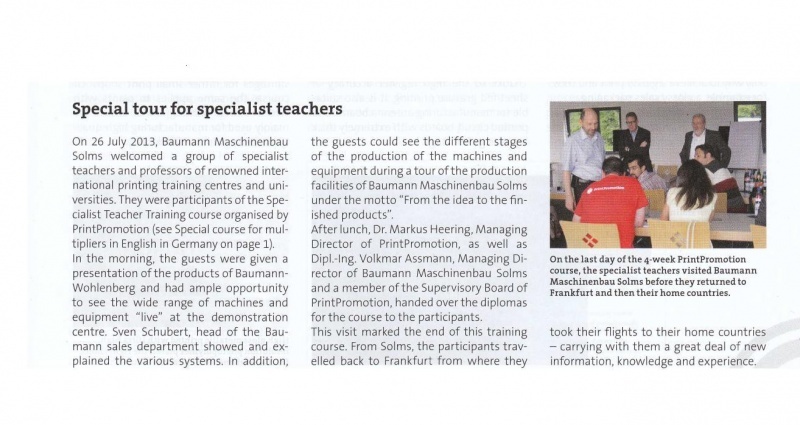 On 26 July 2013, Baumann Maschinenbau Solms welcomed a group of specialist teachers and professors of renowned international printing training centres and universities. 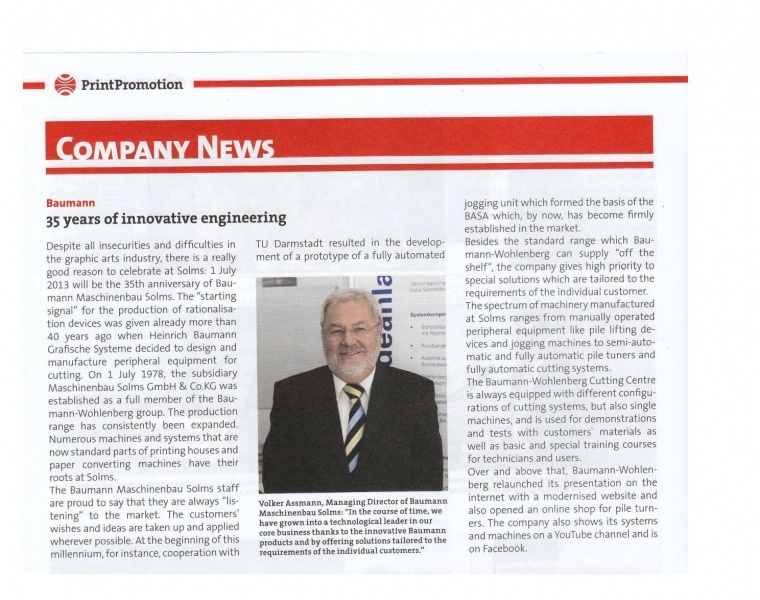 Despite all insecurities and difficulties in the graphic arts industry, there is a really good reason to celebrate at Solms: 1 July 2013 will be the 35th anniversary of Baumann Maschinenbau Solms. The "starting signal" for the production of rationalisation devices was given already more than 40 years ago when Heinrich Baumann Grafische Systeme decided to design and manufacture peripheral equipment for high-speed cutters. Baumann-Wohlenberg. the specialist for print finishing machines has manufactured the AUPASYS pile turners for years, but previously they were only available for manroland printing machines. Now, these pile turners, renamed BSW-AUM, have been improved and can be combined with all brands.